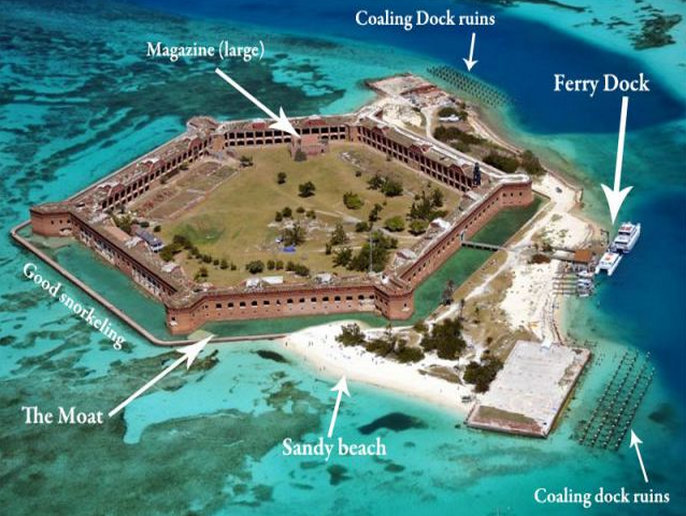 Dry Tortugas labeled arial view. Ponce de Leon and crew refreshed themselves, gorging on turtle at the land they claimed and named the Tortugas (turtles) in the 1500s. 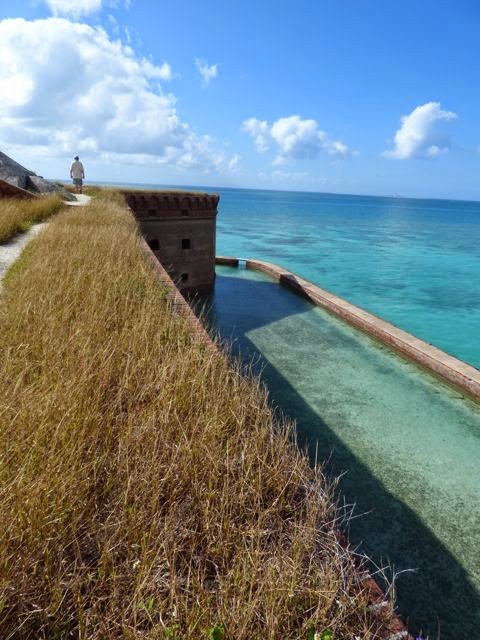 We know it today as the Dry Tortugas, off the coast of Florida's Keys and still considered part of Florida. 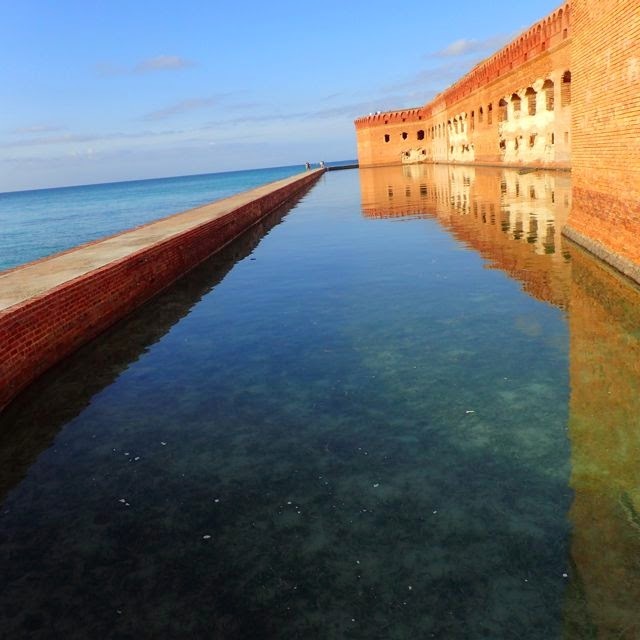 Ft. Jefferson moat, Dry Tortugas. 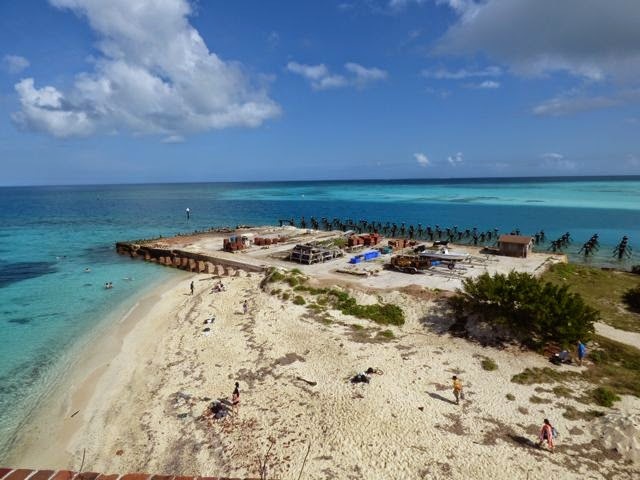 Today the Dry Tortugas is a protected nesting ground for turtles and a research station for marine biologists, an uncrowded national park as rich in history as it is in wildlife. 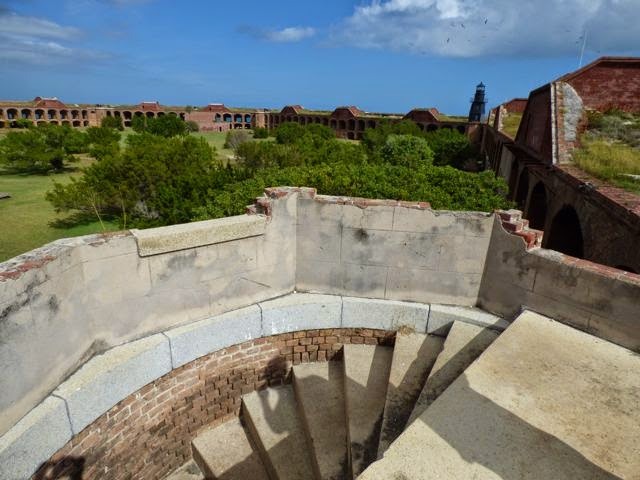 The United States spent 30 years building Fort Jefferson there, but never fired a shot from it, nor was it fired upon. 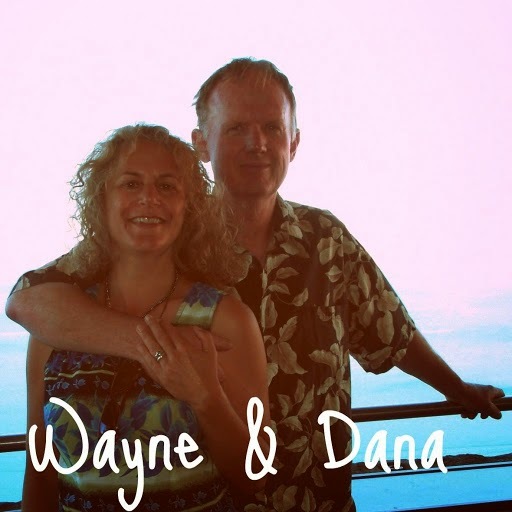 is on Dry Tortugas Loggerhead Key. Garden Key beach view from Ft. Jefferson. 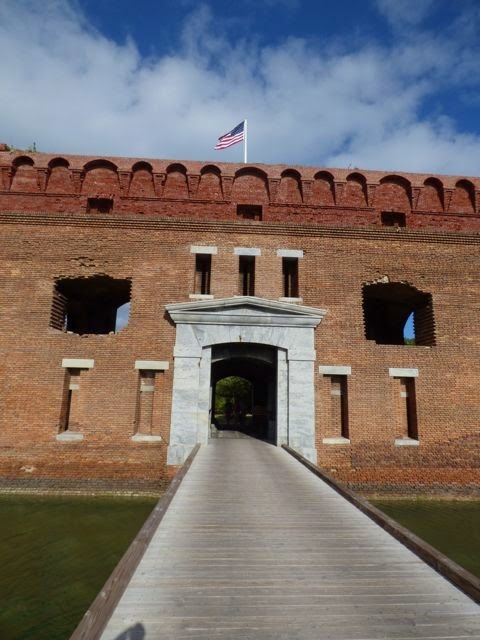 at Ft Jefferson is stunning. Sprawling Ft. Jefferson at one point housed 1500 workers. January 20, 2015. 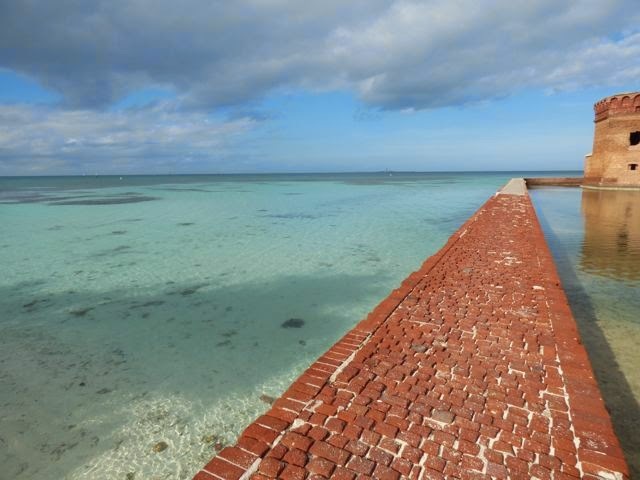 Retrospective of December 27-28 2014, USA, Dry Tortugas, Florida’s Southernmost point (N24.37.556 W82.57.668). 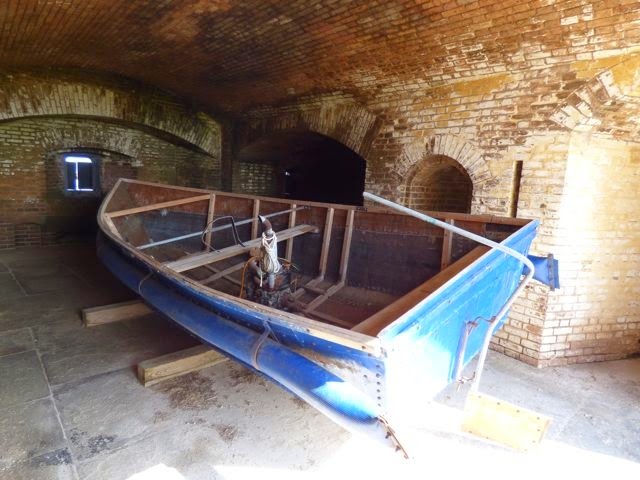 Dry Tortugas was our last stop in the United States on our way to Panama. 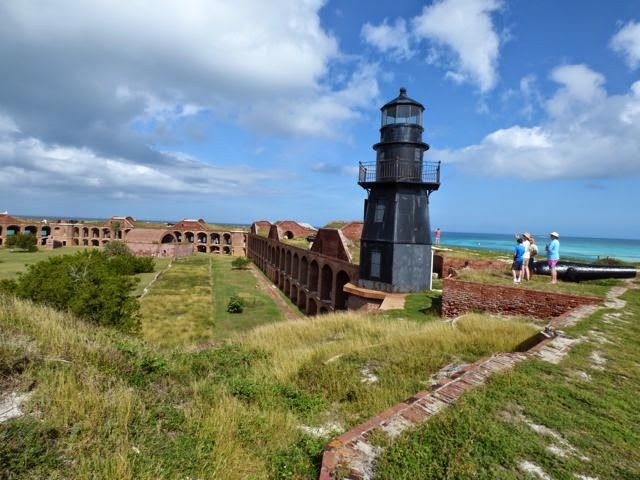 We sailed there, though there's a fast ferry from Key West that goes to the Dry Tortugas as well as sea float planes. We are currently in Altamira Panama (N09.17.265 W82.23.146) getting our mast pulled and repaired before our trip through the Panama canal, gateway to our South Pacific sailing adventure. Thanks, Bertie! 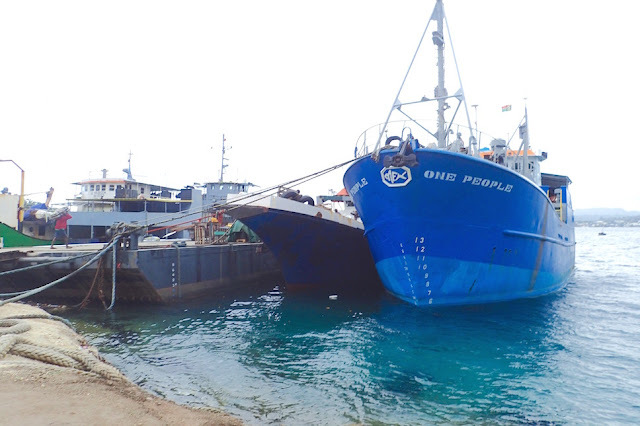 Hopefully tomorrow and nearly positive San Blas in a few days We've been way too busy doing boat stuff, customs, getting mobile phone and wifi stuff set up etc. Heard JAX got some fantastic January weather - mid 70s. Awesome! 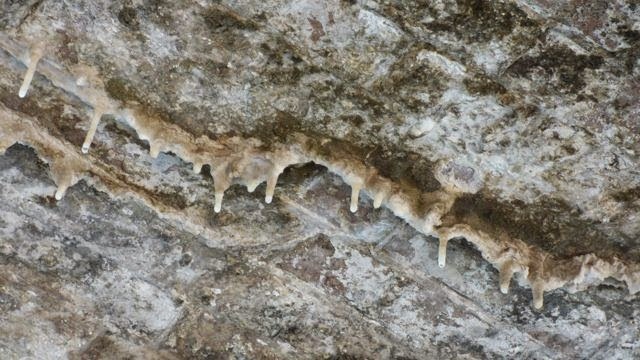 Hey, I always found it interesting that the fort was a colossal failure when it came to how the US Army Corp of Engineers (yea, those guys messed up stuff way back when, too) built cisterns to collect rain water, but built them below sea level and eventually, yep, you guessed it, the salt water invaded and turned fresh water salty, and that pretty much closed the post as a usable place.